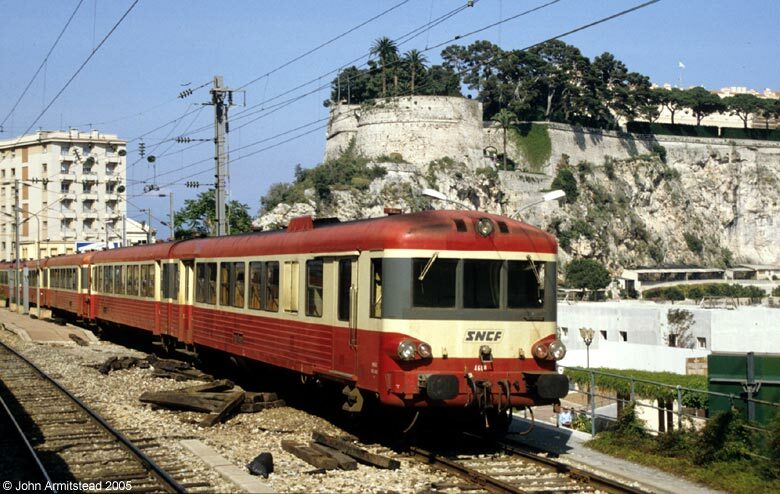 Monaco does not have its own railway company, but is served by French Railways (SNCF) on the Mediterranean coast route. This picture shows an SNCF diesel unit departing from Monaco-Monte Carlo station as empty stock after working a special train for the Monaco Grand Prix, which was taking place on that day, 23 May 1993. At this time the railway through Monaco ran on the surface, but it has now been rebuilt underground to release land for property development.